Dilapidated motels line the entrance to Grants, New Mexico, signs of the boom that came and went in this town of 9,000 people. Today, finding consistent work is a challenge for Pena and scores of others in Cibola County, where the unemployment rate is higher than the state average and precious little besides a few private prisons powers the local economy. To Pena, an 80-mile drive to an office job in Albuquerque started to sound like the best option. It’s a predicament many rural workers face. Far from urban economic engines, rural communities don’t offer enough career advancement locally, forcing young people who might otherwise want to stay in their home community to seek jobs elsewhere. In New Mexico, traditional economic development efforts often lure big industries, favoring urban centers with high concentrations of workers, but leaving rural communities without a share of the benefits. A fledgling state program is trying to change that, starting with Grants. SoloWorks center director Shelly Fausett, left, and program participant Sarah Pena discuss job opportunities at the SoloWorks center in Grants, New Mexico, on March 13, 2018. Pena, a lifelong Grants resident and former office secretary, hopes to find work in transcription through the SoloWorks program. 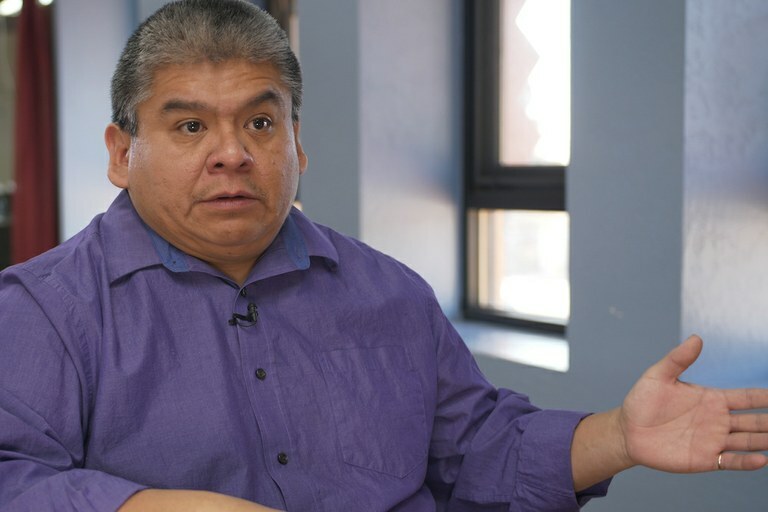 Pena is one of about two dozen workers participating in SoloWorks, a kind of “micro” economic development program that trains and connects New Mexico workers via the internet to remote out-of-state jobs, one person at a time. The vision is to create a new economic base for rural communities, using an internet connection to bring new money into towns thirsty for a broader tax base. In its first year, the program showed mixed results: a pilot program in Grants trained about 25 workers and placed 10 of them into online jobs. Of those, two are still working. The program is faring better so far in 2018, after tweaking the program to focus more on retention: Of 21 people trained, 12 found remote jobs so far. Two have started work, and the rest are awaiting more on-the-job training. SoloWorks faces major hurdles amid its planned expansion to several other New Mexico communities. Chief among them are internet connectivity and a battle for funding that could threaten the program’s future. Many workers don’t have the broadband connection their employers require. And while the program’s champions hope this can create a new generation of remote entrepreneurs and knowledge-based workers, until now, the jobs created have been mostly low-wage customer service and transcription roles. That has made it a hard sell to the New Mexico legislature, which funded the program at a fraction of what the group asked for earlier this year. Though advocates’ promises come with caveats, a program like SoloWorks could be another route to reversing population declines in rural communities across the West, where once-lucrative work in mines and other natural resource industries is harder to come by than a generation ago. 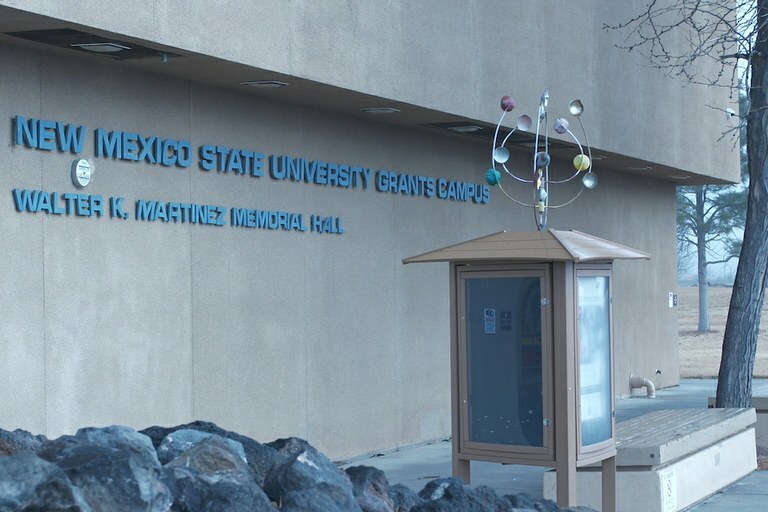 The SoloWorks center is located on the New Mexico State University campus in Grants, New Mexico. 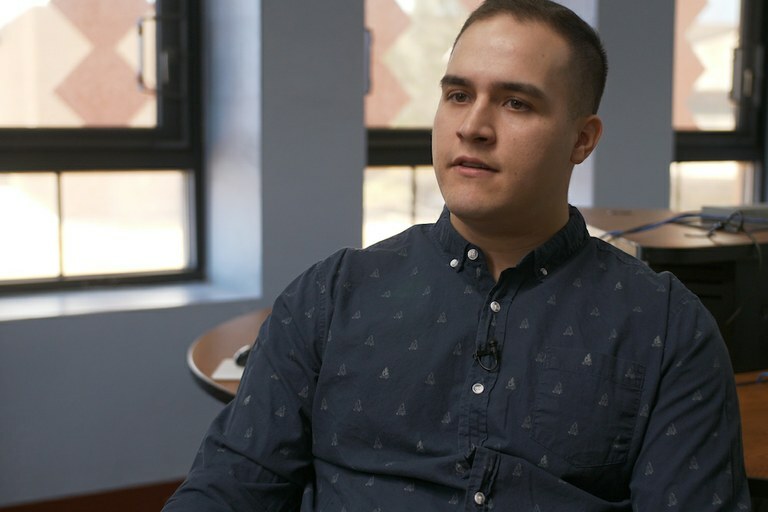 Samuel Jack, a former restaurant worker, participated in a SoloWorks training in Grants in March 2018. Jack wants to work from home to be close to his daughters. SoloWorks is billed as a job creation program. It targets several kinds of workers: entrepreneurs with no central workplace, individuals who could work for remote employers and the chronically hard-to-employ. The program recruits local residents, trains them in online skills like how to tailor a resume to an online job, and helps them apply for jobs with one of about 70 employers affiliated with SoloWorks. The program offers a co-working space and internet connection at a fraction of what it would cost workers on their own. Not so with remote work, which research suggests is a growing sector of the U.S. economy. In 2016, 43 percent of employed Americans spent at least some time working remotely, up from 39 percent in 2012, according to Gallup polling data. A 2017 survey of independent workers found that a third of the U.S. workforce spent at least some portion of last year freelancing. If a program like SoloWorks can create 50 jobs in a rural community, that’s like recruiting a medium-sized company. “How do you make yourself attractive to people who work alone?” Lautman said. And, how to do it at a scale that actually makes a difference? Indeed, most of the workers who dropped out of jobs they found through SoloWorks did so either because of a wage cliff, as they started earning too much and lost state or federal assistance, Lautman said, or because they realized they didn’t want to do customer service work. In the past, SoloWorks had no other line of work to offer. Pearson also said aggregating freelancers for call center jobs is not a new idea. But that’s only part of SoloWorks’ model. Where SoloWorks breaks the economic development mold is in how it’s funded: The program only gets state money if it creates jobs. Inspirational phrases fill a whiteboard in the SoloWorks center in Grants, New Mexico, on March 13, 2018. “There isn’t a reason that you shouldn’t be able to have your dream job in your hometown,” SoloWorks center director Shelly Fausett said. Too often, Lautman said, well-intentioned government programs become compliance-driven, more interested in following rules than lifting people and communities out of poverty. So far, the SoloWorks program has been funded by a mix of local, state and federal funding, about $600,000 in all. The SoloWorks center in Grants receives $3,500 per job after the worker receives their first paycheck. If the program doesn’t hit 30 new jobs by the end of June, the rest of the available funding reverts back to the state. Over the next few years, other communities hope to adopt the model. Las Vegas launched a similar SoloWorks program in fall 2017, and the New Mexico state Legislature approved funding for programs in Raton and Mesilla in early 2018. Lautman’s hope is that employers would one day pay for such a service. But the same internet access that makes remote working possible also presents one of the program’s biggest hurdles, said Eileen Chavez Yarborough, director of the Grants economic development foundation. 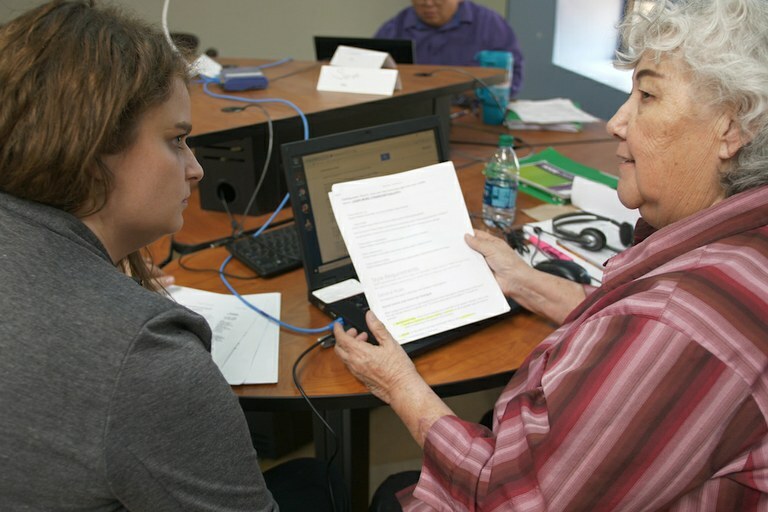 Without the connection at the SoloWorks center, these jobs wouldn’t be viable, as many participants lack access to reliable internet. And even the program’s advocates acknowledge SoloWorks won’t be sustainable until they prove they can retain these new jobs over time, fixing the program’s low retention rate – an issue raised in a critical report to the state legislature early this year. Will Yarborough, 23, is one of the handful of SoloWorks graduates from 2017 still working. He’s the son of Eileen Chavez Yarborough, the local economic development director, and works in medical equipment customer support and sales for a California-based call center from inside a large storage closet at the SoloWorks center. It’s quiet, he said, and he has the internet connection his home office does not. He’s working on a computer science associates degree at New Mexico State University and hopes to one day work in remote IT support. Will Yarborough is one of a handful of SoloWorks graduates who has retained his job since completing the program. By the end of the day on a recent Tuesday, Pena had finished her resume and practiced starting and stopping audio recordings while transcribing using a new foot pedal, under the eye of the program manager. Meanwhile Pena’s colleague, Samuel Jack, was ecstatic. Just hours after submitting his application, so carefully vetted by both him and the site manager, he received an email back from the company. He had landed an interview.